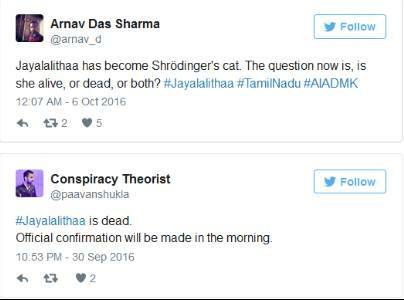 It’s been almost a week since the health of Tamilnadu CM Jayalalithaa became a hot topic on social media. 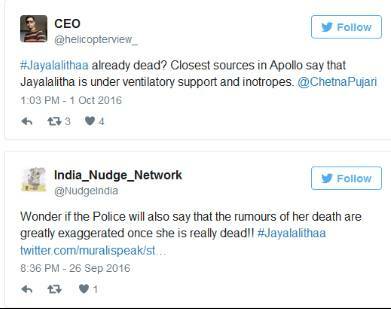 She became hospitalized on September 22, Apollo Hospital in Chennai, and recently, we have been hearing many rumours regarding her being in intensive care unit, on the life support system and even that she has passed away. 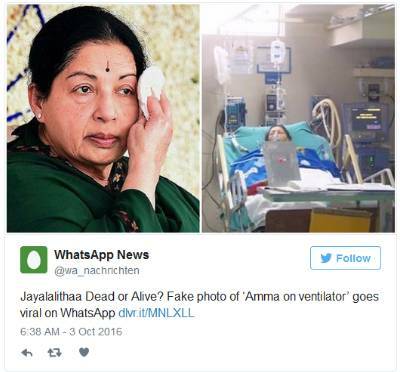 A fake picture of Jayalalithaa in ventilator has become viral on Whatsapp over the past few days. Though the picture was found to be fake, the rumours kept spreading rapidly. The peculiar secrecy surrounding her hospitalisation and the silence on her illness together with the many restrictions on who can visit the AIADMK leader have given rise to many rumours during this period. 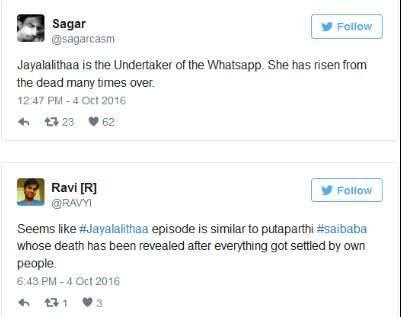 #Jayalalitha has become a trending hashtag for Indian crowd on Twitter.